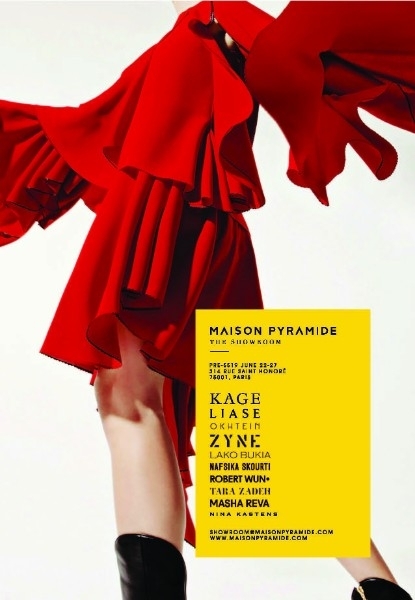 Maison Pyramide is an international sales and PR agency. Based out of the fashion capital Paris, the Maison Pyramide showroom has a global reach and partnership with prominent retailers, press and influencers. Founded in 2016, the platform gained immediate recognition for bringing together a heavy roster of Vogue and award winning talents, presenting a fresh approach to advanced and contemporary womenswear and accessories.